You can Join PCI today! Please visit our Gift Shop today! All of our items include Free Shipping in the price! Put a large PCI decal on your aircraft, auto or other site! Large 12" diameter decals only $10.00 each. If you would rather just donate and not purchase anything, you may do so here. 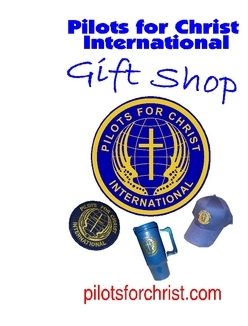 THANK YOU FOR SUPPORTING PILOTS FOR CHRIST INTERNATIONAL!